The statement of cash flows is an essential financial statement in the accounting industry. It is one of four principal financial statements required by GAAP. The primary purpose of the statement of cash flows is to provide relevant information about the cash receipts and cash payments of a business during a period. The statement indicates why cash (including short-term investments that are equivalent to cash) changed during the period by reporting net cash provided or used by operating activities, investing activities, and financing activities. This paper will discuss the direct method and indirect method of the statement of cash flows and will also discuss the different sections for the statement of cash flows and how it assists a variety of different users. The ability of the company to generate positive cash flows. The ability of the company to meet its obligations and to pay dividends. The company’s need for external financing. The reasons for differences between reported profits and the related cash flows. The cash and non-cash aspects of the company’s investing and financing activities during the period. The causes of the change during the period in the company’s cash balance. The statement of cash flows reports cash flows in the following categories: Operating activities which are transactions which affect net income, investing activities which are transactions that affect investments in fixed assets such as property, plant and equipment, and finally financing activities which affect the equity and debt of the business. The user assisted most by the operating activities would most likely be accounts payable. This section of the cash flow statement includes cash payments such as inventory, payroll, taxes, interest utilities and rent. The net amount of cash provided (or used) by operating activities is the key figure on a statement of cash flows. The user assisted most by investing activities would be investors and creditors. This section is used to evaluate managements’ abilities to manage cash now and in the future. It also assesses the company’s ability to pay dividends and to pay creditors. The cash flow statement identifies the sources of cash inflows, the items on which cash was expended during the reporting period, and the cash balance as at the reporting date. Information about the cash flows of an entity is useful in providing users of financial statements with information for both accountability and decision making purposes. Cash flow information allows users to ascertain how a public sector entity raised the cash it required to fund its activities and the manner in which that cash was used. In making and evaluating decisions about the allocation of resources, such as the sustainability of the entity’s activities, users require an understanding of the timing and certainty of cash flows. The objective of this Standard is to require the provision of information about the historical changes in cash and cash equivalents of an entity by means of a cash flow statement which classifies cash flows during the period from operating, investing and financing activities. Cash flow statement makes it possible to predict the amounts, timing, and uncertainty of future cash flows on the basis of what has happened in the past, in other words it helps in predicting future cash flows. By comparing the cash flow statement with that of the budget which was made at the beginning of the year one can see whether company has spend more or less than original budget and if there is any big deviation between the two company can take steps to control such deviation. Usually cash and net profit tends to move together. Higher the net profit, higher will be the cash and vice versa. But sometimes there is shortage of cash even when there are good profits for the company. 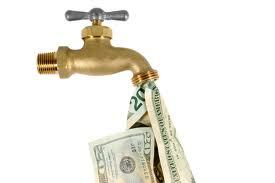 With help of cash flow statement its users can now what was the reason for shortage of cash. It facilitate management to plan and co-ordinate the financial operations properly, because with the help of cash flow statement management can know how much fund is needed, and what time it is needed, also it can decide the source from which fund will be raised, whether internally or externally. An entity which prepares and presents financial statements under the accrual basis of accounting should prepare a cash flow statement in accordance with the requirements of this Standard and should present it as an integral part of its financial statements for each period for which financial statements are presented. Information about cash flows may be useful to users of an entity’s financial statements in assessing the entity’s cash flows, assessing the entity’s compliance with legislation and regulations (including authorized budgets where appropriate) and for making decisions about whether to provide resources to, or enter into transactions with an entity. They are generally interested in how the entity generates and uses cash and cash equivalents. This Standard applies to all public sector entities other than Government Business Enterprises. Government Business Enterprises (GBEs) are required to comply with International Accounting Standards (IASs) issued by the International Accounting Standards Committee. The Public Sector Committee’s Guideline No. 1, “Financial Reporting by Government Business Enterprises” notes that IASs are relevant to all business enterprises, regardless of whether they are in the private or public sector. Accordingly, Guideline No. 1 recommends that GBEs should present financial statements that conform, in all material respects, to IASs. The most commonly used format for the cash flow statement is broken down into three sections: cash flows from operating activities, cash flows from investing activities, and cash flows from financing activities. Under the direct method, you are basically analyzing your cash and bank accounts to identify cash flows during the period. You could use a detailed general ledger report showing all the entries to the cash and bank accounts, or you could use the cash receipts and disbursements journals. You would then determine the offsetting entry for each cash entry in order to determine where each cash movement should be reported on the cash flow statement. Similar types of calculations can be made of the balance sheet accounts to eliminate the effects of accrual accounting and determine the cash flows to be reported in the investing activities and financing activities sections of the cash flow statement. An increase in current assets (excluding cash and cash equivalents) would be shown as a negative figure because cash was spent or converted into other current assets, thereby reducing the cash balance. A decrease in current assets would be shown as a positive figure, because other current assets were converted into cash. An increase in current liabilities (excluding short-term debt which would be reported in the financing activities section) would be shown as a positive figure since more liabilities mean that less cash was spent. A decrease in current liabilities would be shown as a negative figure, because cash was spent in order to reduce liabilities. The net effect of the above would then be reported as cash provided by (used in) operating activities. The cash flows from investing activities and financing activities would be presented the same way as under the direct method.